This beautiful ring is made with one continuous piece of fine sterling silver twisted wire. 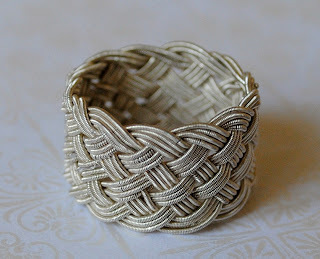 The twisted wire makes the ring flexible, soft and very comfortable to wear. It has 3 strands of coiled wire, 6 leads and 13 bights. Ring size: approx US 6 1/2. Width measures 1/2 in (1.3 cm). 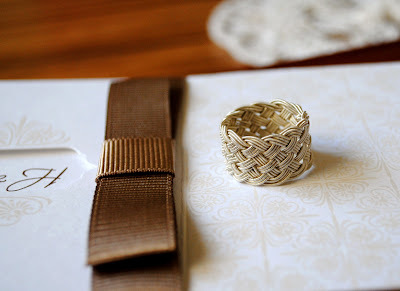 Since this ring is flexible, it will stretch slightly. Turk's head knot sterling silver flexible braided ring, sterling silver ring, buy wedding ring, buy engagement ring, buy ring for gift, buy ring for Valentine's day.